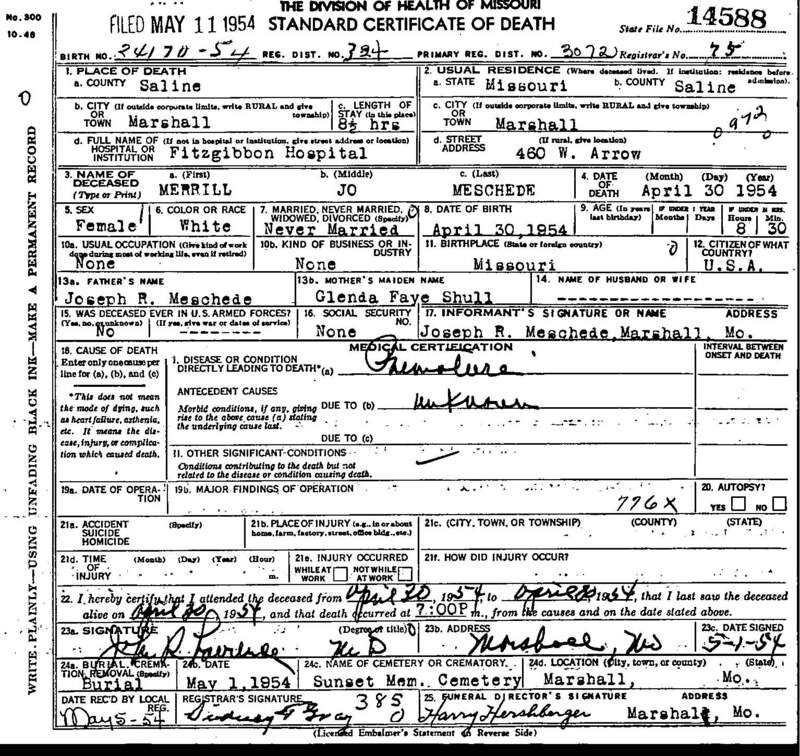 "Death Record - Merrill "Muriel" Jo Meschede"
Birth location: Marshall, Saline County, Missouri. Death location: Fitzgibbon Hospital, Marshall, Saline County, Missouri. Burial location: Sunset Memorial Cemetery, Marshall, Saline County, Missouri.